Everyday, there are hundred of horse races being run at dozens of horse racing venue. 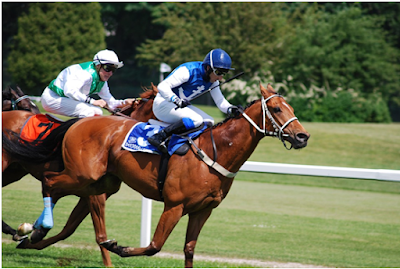 If you are like everyone else, you will tend to be more effective when betting horses you are familiar with at racetracks that tend to be closer to home. With that said, Internet gambling and online bookmakers have change the way horseplayers tend to operate. Even good handicappers will now show interest in betting races at as many as six or seven venues everyday. That could amount to 60 races , or racing puzzles a day that need to be put together. With a limited amount of time to handicap that many races, it sometimes pays to locate resources that can remove some of the handicapping burden. If you intend on becoming a good handicapper and/or plan to bet horses on a regular basis, you might derive some benefits from enlisting help from horse racing betting services. Aside from getting free horse racing tips, you will have another source of information and another opinion to help you isolate winners. This could prove invaluable when you consider you might have as many as 15 possible outcomes in any particular race as opposed to the sports bettor who only has to decide between two options. Not all tipping services provide top notch picks on a regular basis. However, the less successful ones are easily weeded out by reputation. If you stick with the tipping services that offer a few free horse racing tips and tend to hit winners at fair prices on a regular basis, you can certainly figure on deriving the following benefits. 1. Identifying Contenders and Pretenders – In every horse race, you will find a number of horses that have a legitimate chance to win the race based on the race’s conditions and their own personal form. You will also find there are horses that really have no business in a particular race. While tipping services don’t always come up with the outright winners, the good ones tend to be very adept at identifying the 2-3 horses that have the best chances of coming out on top. So be sure to use all information at your fingertips. 2. Inside Information – Lots of tipsters and touts lay claim to the notion they have inside information. Admittedly, inside information is a great asset if it comes from the right sources going to the right people. If you come upon a reputable tipster or tipping service that seldom lays claim to inside information, but wins when they leak the word, it might be a service worth following in the future. 3. A different Perspective – First, you should always begin each race by doing your own handicapping and coming up with your own opinion. You should never be swayed by the best horse racing tips today if you have strong opinions otherwise. However, you can always use the information from horse racing tipping services to force you to take another look at a particular race in case you might have missed something in your handicapping that the service might have caught. 4. The Beginners – It takes time to learn how to filter through past performances and speed figures in order to become a handicapper. In the meantime, there’s absolutely nothing wrong with going to the races today, getting some of the best horse racing tips today and maybe catching a winner or two in the process. Tipping services that are reputable and add insight to its selections can often be considered teachers. If you follow the comments, there’s a good chance you will begin to identify patterns that will eventually help you in your own handicapping.